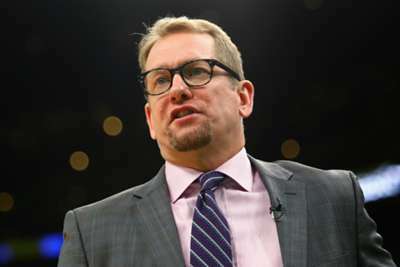 Toronto Raptors coach Nick Nurse has been fined by the NBA for criticising officials following Sunday's defeat to the Denver Nuggets. Nurse was fined $15,000 by the league on Tuesday after branding the treatment of Raptors star Kawhi Leonard as "unbelievable" in the 95-86 reverse in Denver. Leonard attempted just four free throws in the game, prompting frustration from Nurse. "This was a very severe case of a guy [Leonard] who was playing great, taking it to the rim and just getting absolutely held, grabbed, poked, slapped, hit and everything," Nurse said after the game. "They refused to call any of it. It’s unbelievable to me. It's ridiculous. The guy is one of the best players in the league and he doesn't complain, he doesn't do this, he doesn't do that. "[The officials] just turn their head and go the other way. It's been going on all year." Leonard scored a game-high 29 points and grabbed 14 rebounds against the Nuggets, a;ater describing the matchup as "very physical".